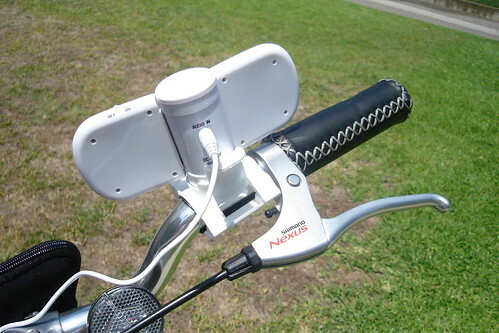 Active Tunes i-RIDE bicycle stereo system has to be one of the most fun items I’ve reviewed in a while. Keeps your ears free to listen to your surrounding. Not too loud where you couldn’t hear cars going by or other bicyclists riding by. It’s loud enough to hear the music clearly but not deafening to where its a distraction. Durable construction and very rugged. The only thing I didn’t like was when I hit a pot hole the speakers popped off and fell to the ground. Which meant having to get off my bike and run into the middle of the intersection to retrieve it. However, to my surprise the i-Ride was in tact and all I had to do was plug it back into my IPOD Shuffle and pop it back in the mount and I was ready to rock! 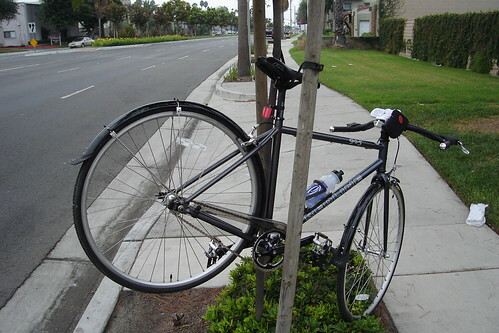 Its easy to prevent the i-Ride from coming off the mount by placing a rubber band around the mount and the unit itself. Now that I think of it, the package did come with a red rubber band, but I forgot to place it on when I was riding the morning it fell off. So that was my bad, not Active Tunes. 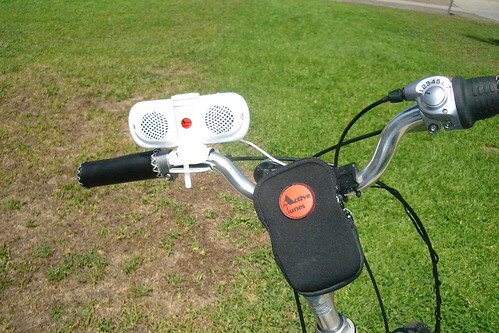 The Active Tunes i-RIDE cost $29.95 and includes speaker, mounting bracket, audio pouch and audio cable. 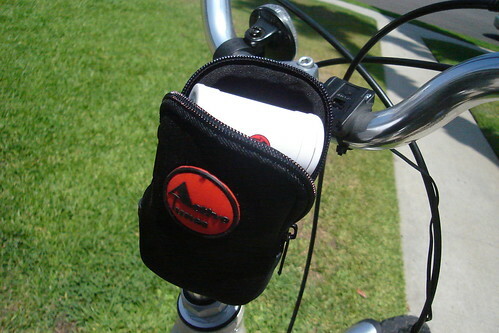 This kit is a great alternative to riding with your MP3 player and headphones plugged in. We all know that riding with headphones can be dangerous. So with that in mind, the i-Ride is a must for those that choose to ride with music. But keep in mind that it would be a good idea that you only use flash memory MP3 player rather than hard drive based MP3 player such as an IPOD Nano and all the other big gig players. With all the abuse the road can dish out, your big gig players may not last as long as you would like if you are riding with them. The i-Ride does use 3 AAA batteries but it doesn’t drain them at all. It basically sips battery life like an old lady drinking hot tea. Yes I would. Anyone could easily afford it. Just bring your lunch to work for a few days and brew your own coffee, then you’ll easily save $29.95 to purchase the i-Ride. Here’s the RedLine 925 with the i-Ride mounted on. To pick a nit; the Nano is a flash player, not HD.